Twenty years of Schoeni Art Gallery, twenty years of contemporary Chinese art. 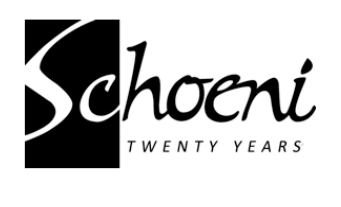 Schoeni Art Gallery celebrated its 20th Anniversary. A project in partnership with the Hong Kong Heritage Museum, the exhibition “Collaborative Printmaking” is one of the highlights of the Graphic Art Fiesta 2013 organized by the Hong Kong Open Printshop. Aiming to encourage collaboration between professional printmakers and creative artists working in different media and thus to promote cross-disciplinary creation through the combination of printmaking techniques and artistic ideas, the exhibition promises to provide a brand new interpretation of graphic art. Eight local artists – Cheung Chung-chu, Chow Chun-fai, Hung Keung, Jaffa Lam Laam, Steven Lam Woo-cheong, Pauline Lam Yuk-lin, Victor Lai Ming-hoi and Rosanna Li Wai-han – will exhibit their prints together with works from the Centre for Fine Print Research of the University of West of Englandin the UK, and the Tamarind Institute of the University of New Mexico in the US. Contemporary Ink’s inception was amid from the 50’s to the 60’s. During the conventional era, pioneer artists such as Lu ShouKun, Liu KuoSung and Xu Bing, boldly attempt to combine the eastern technique with the method of the west. In today’s art scene, such approach has become an influential style of its own throughout the world. In view of the growing interests in Contemporary Ink Art in recent years, Lucie Chang Fine Arts and The Fringe Club will present 19 artists from Hong Kong, and the Mainland who are at the forefront of the practices in this exhibition entitled Now and Then: Contemporary Ink vs Antiquities. Hung Keung, Frog King, Kum Chi Keung, Lee Jung Woong, Joey Leung, Li Hui, Liu Dan, Master of the Water, Pine and Stone Retreat Annysa Ng, Qin Feng, Qiu Zhi Jie, Tsang Chui Mei, Wang Sau Ching, Wong Shu Kit, Xiang Yang,Xu Bing, Xu Lei, Zhang Huan and Zhou Chunya will be participating in this exquisite event. These 19 artists coming from different backgrounds, regions and styles will be showing their latest works which include paintings, multi-media and installation art. The contemporary works on show is set against a backdrop of timeless Song and Ming antique pieces. This setting creates an intricate interplay of the ancient in present conditions and vice versa. This is also the first attempt for Contemporary Ink paintings to exhibit conjointly with museum-quality antiques in Hong Kong. This show takes place in the Fringe Club which was originally the first ice depot more than a hundred years ago in old Hong Kong. This historical under-layer adds more complexities from the viewer’s perspective. Part of the proceeds from the sale of artworks in this event will be donated to Children’s Medical Foundation, one of the leading charity organizations who develop and implements sustainable healthcare solutions for children in Asia, with a focus on helping underprivileged children. Lucie Chang Fine Arts was established in 2011, based in Hong Kong, sincerely provide worldwide collectors and art lovers with different kinds of antiques and art pieces. Lucie Chang Fine Arts also provides services such as professional art consultation, art trading and exhibition planning.